3 Bedroom Terraced House For Sale in Leicester for Asking Price £165,000. 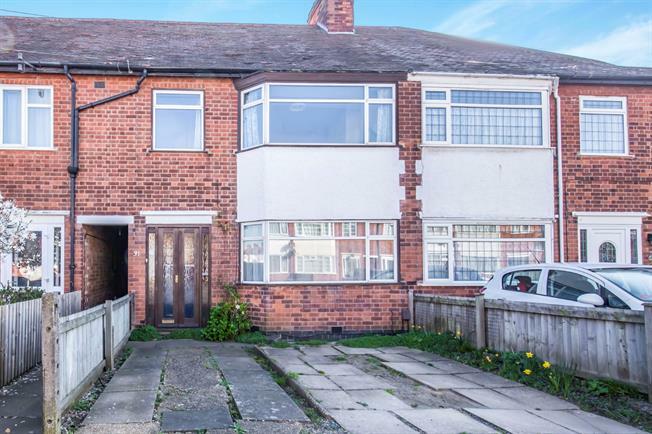 An excellent opportunity for a first time buyer or investor to purchase this spacious three bedroom mid terraced property located on the popular Sycamore Road in Birstall. Offered to the market with no upward chain this property is in need of renovation, giving a purchaser a great opportunity to put their own touch to it. In brief the property comprises lounge with bay fronted window, dining room over looking the rear elevation, kitchen, three bedrooms and a family bathroom. Externally, off road parking for more than one car and a private rear garden.